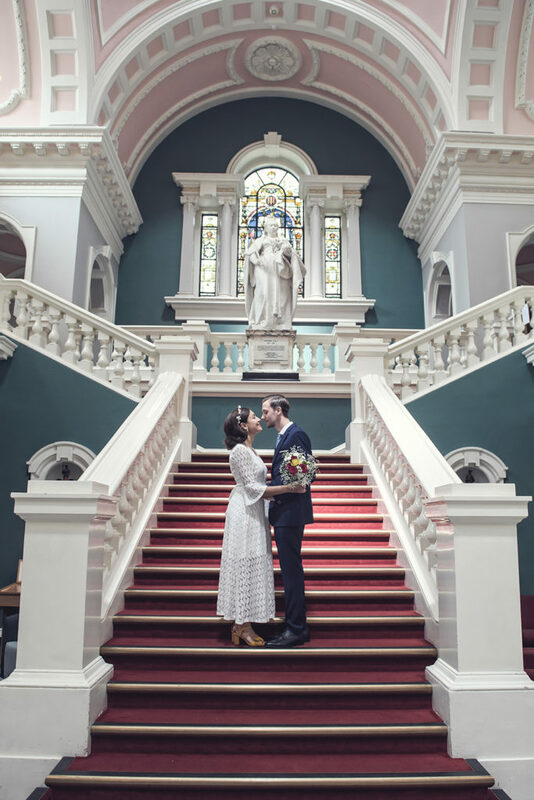 We visited Woolwich Town Hall not long ago for Cherryl&David’s wedding and we have been impressed by the beauty of this place. 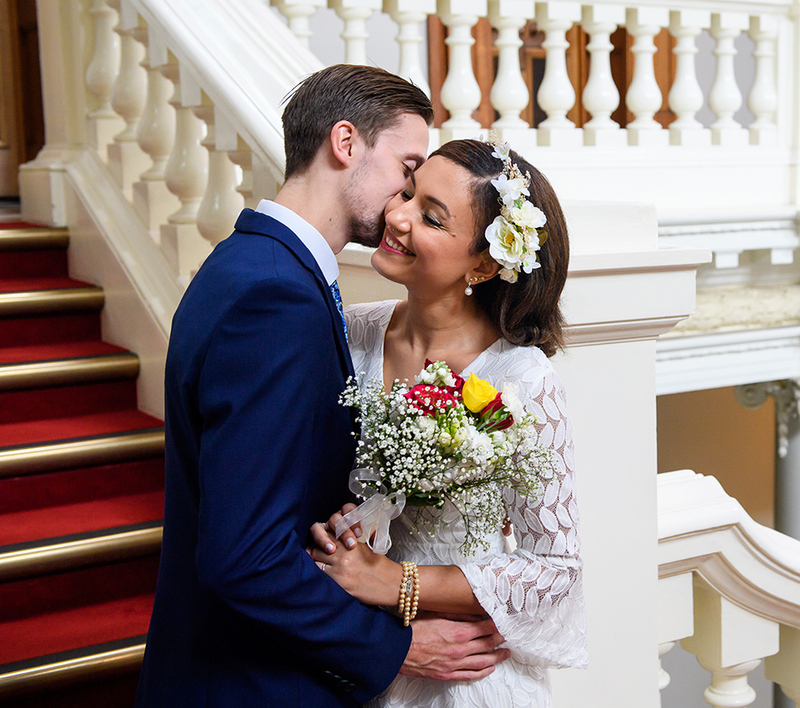 We haven’t been disappointed when we visited Woolwich Town Hall for Daniele and Joseph wedding either; everyone working at this venue is so welcoming, friendly and helpful, it’s a pleasure coming back. 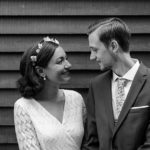 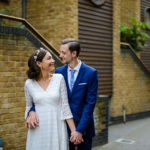 We met Daniele and Joseph not long before their wedding and, as we were away at the time, we had to Skype our first meeting. 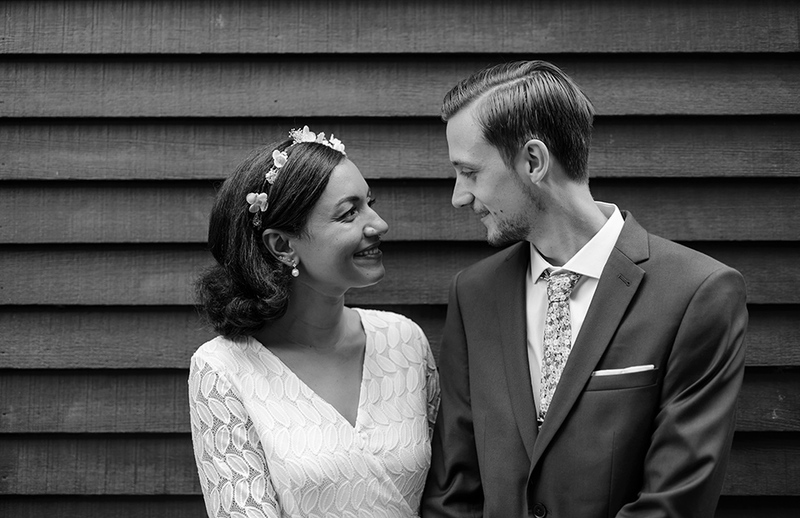 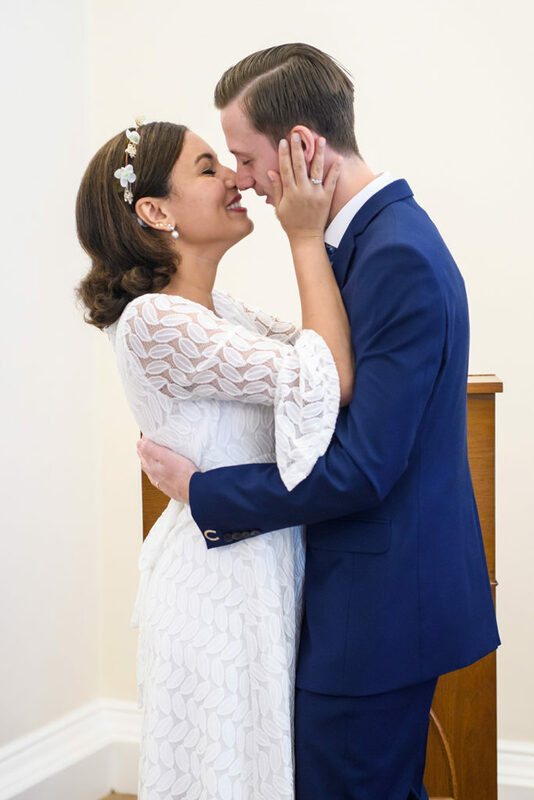 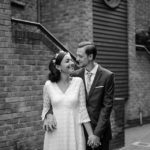 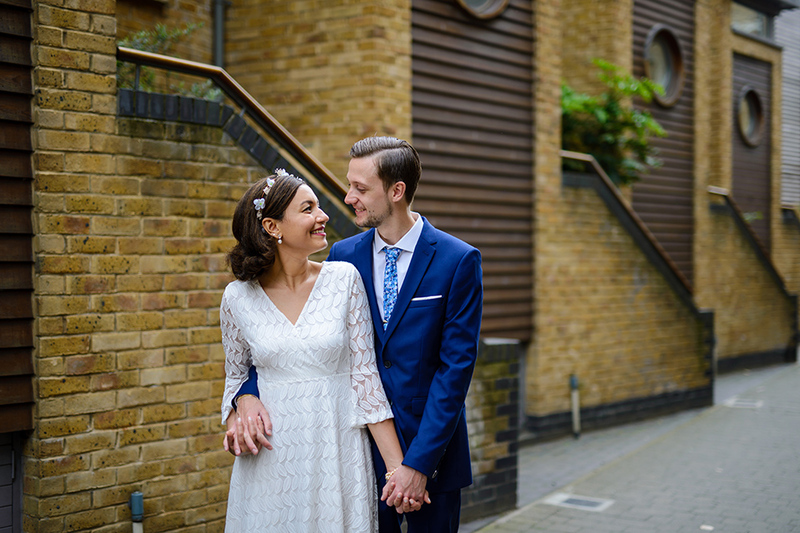 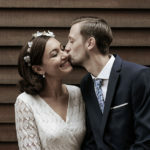 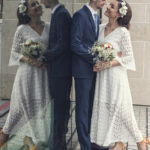 It was easy to see how in love Daniele and Joseph are and we knew straight away that is will be a pleasure working with them on their wedding day. 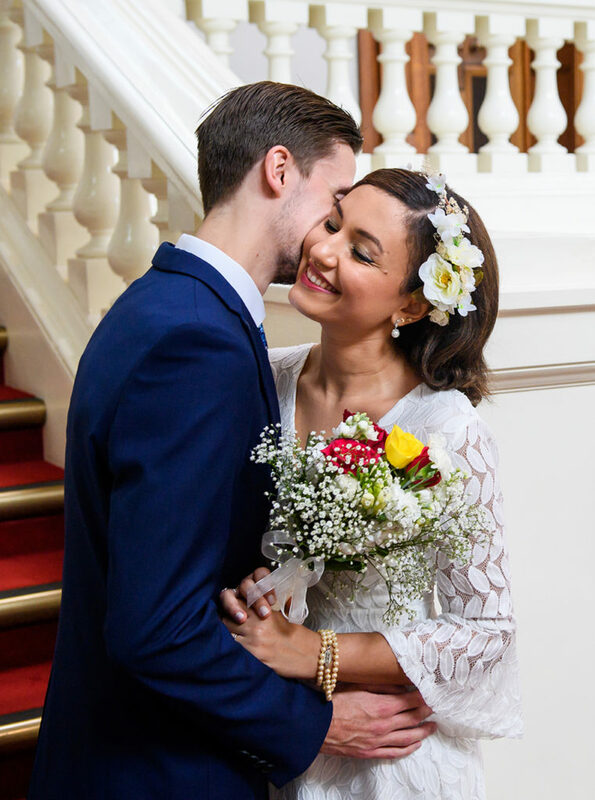 Daniele and Joseph opted for a custom coverage package: as they had a small wedding, they limited the hours of coverage on their wedding day. 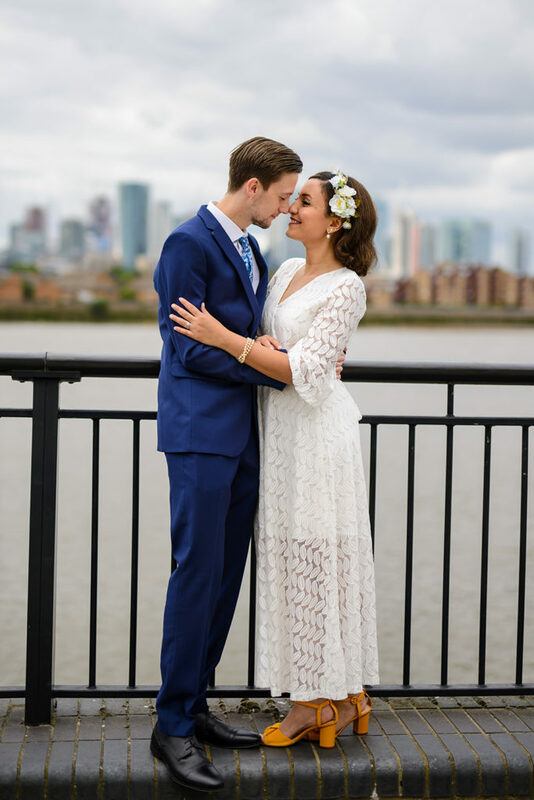 We are more than happy to meet our clients requests and we can create a bespoke package for each of our couples. 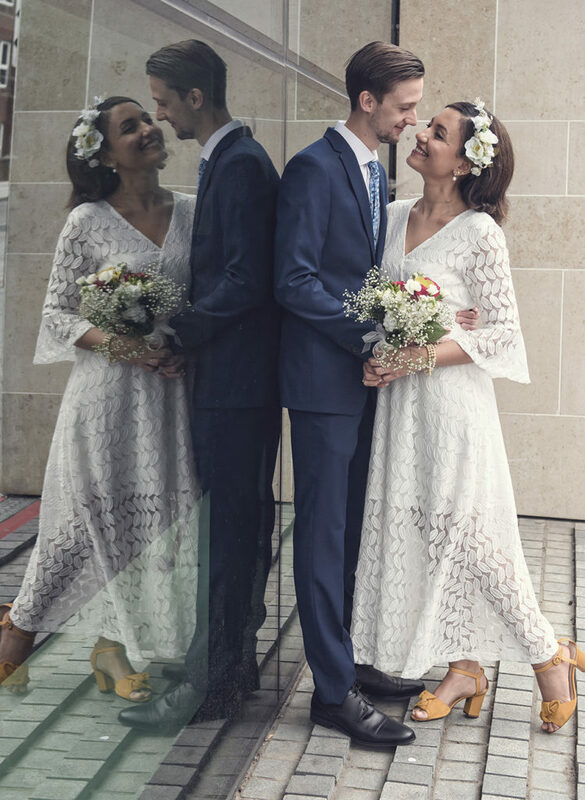 Being flexible is one of our strongest advantages in this very competitive market and we encourage all our couples to discuss and explore all the available options before their wedding day. 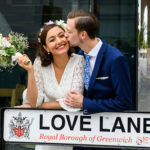 On Daniele and Joseph wedding day we started the coverage at the Woolwich Town Hall. 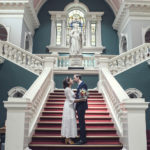 Daniele and joseph had a beautiful ceremony followed by some family pictures in the Town Hall. 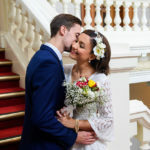 We made good use of the beautiful stairs inside the venue ad soon everyone was on their way to Cutty Sark Pub in Greenwich. 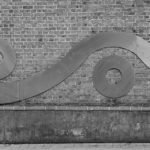 Cutty Sark Pub in Greenwich is a beautiful pub located next to the River Thames and a short walk from Greenwich. 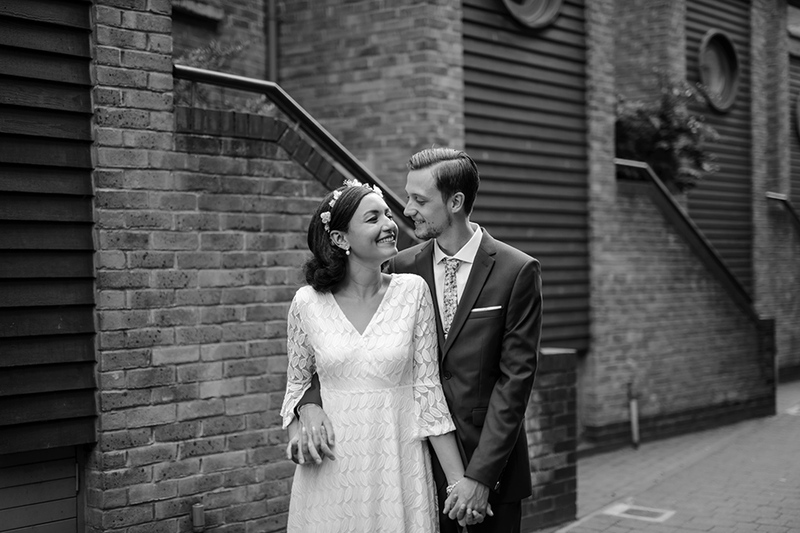 We took Daniele and Joseph our for a short walk and we did a very nice photo session around the pub. 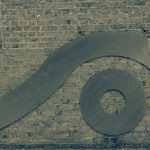 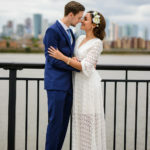 Greenwich is such a nice location for a photo session – basically there is something interesting around every corner so we made the most of our time. 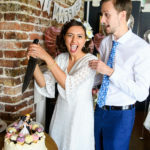 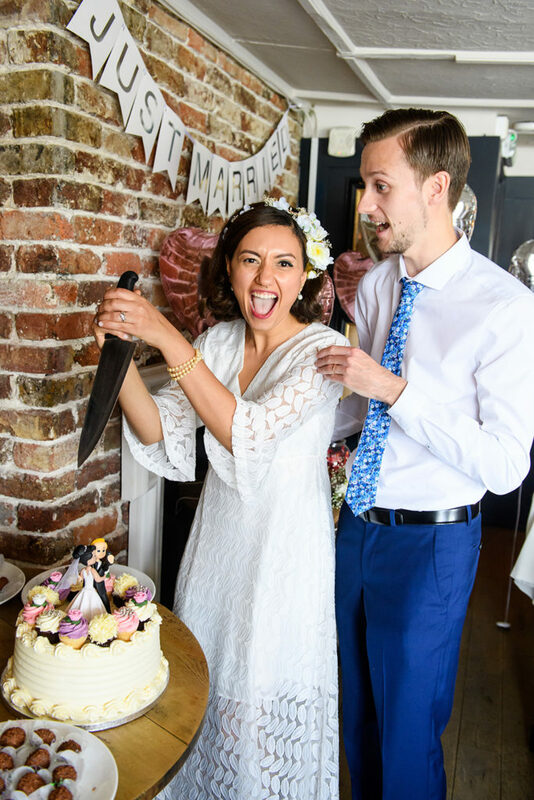 Once back at the pub, Daniele and Joseph cut their beautiful wedding cake and the celebrations continued long into the evening. 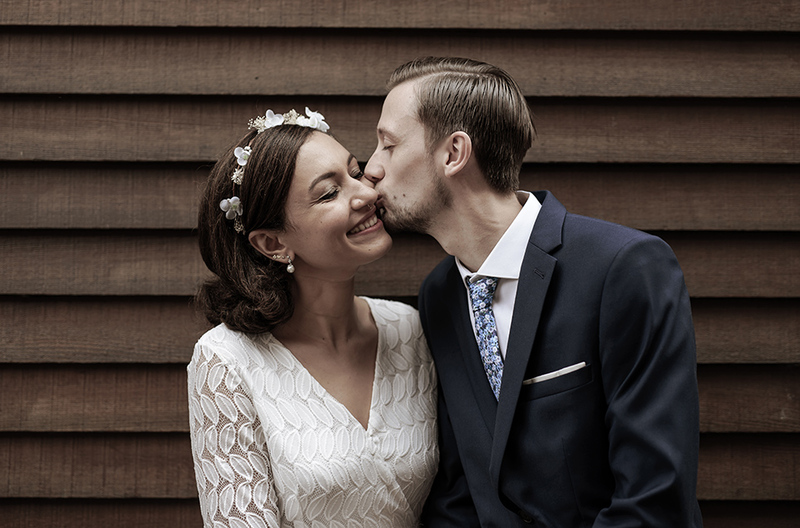 Dear Daniele ad Joseph, thank you for making us part of you amazing day, it was a pleasure for us to be your wedding photographers. 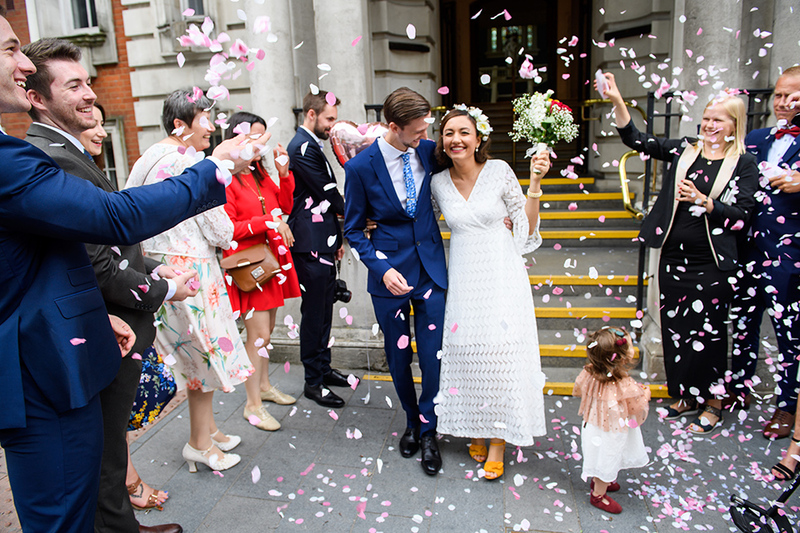 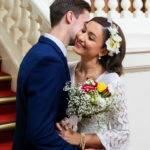 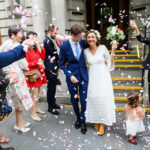 If you are looking for Woolwich Town Hall wedding photographer or if you are planning a Woolwich Town Hall wedding, please get in touch, we can help!